There are 91 districts, 1,223 public schools, and 47 charter schools in South Carolina serving 727,186 students. 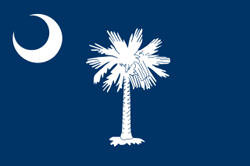 Financially the state of South Carolina spends approximately $10,847 per student. There are 46,782 full-time teachers receiving a total of $2,569,307,630 in salaries and $796,285,088 in total benefits. 364,193 students receive a free lunch and 48,152 receive a reduced-price lunch.